Very nice breakfast, with local ham and cheese, plenty of fruit and warm breakfast too. We were the first occupants for the season. The room we had was very clean and comfortable. The bathroom was spacious and clean. We were in Trevelez at the end of March 2017, so it was still a little cool and it took a while for the underfloor heating to kick in, but once it did it was warm. The hotel staff were friendly and very helpful. The village itself was very quaint. During the day there were touring buses but by about 4:00pm the main square was quiet. There were a few restaurants open but they closed early, again I think this was because we were right at the start of the opening season. A very beautiful village and if you like walking, there are a few trails you can do, so stay a few days. Estupendo el alojamiento, localización y el esmero de sus responsables. Desayuno sensacional y limpieza absoluta de habitaciones. Para repetir. El trato recibido por la anfitriona excelente. Le pedimos un par de cosas que necesitábamos -no incluidas en el precio- y nos las facilitó de modo gratuito. La ubicación muy buena, en la parte alta del pueblo. Parking gratuito justo al lado del apartamento. Vistas de la montaña muy bonitas. 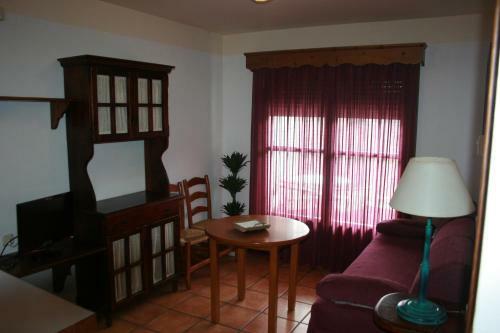 Lock in a great price for Apartamentos Siete Lagunas – rated 8.4 by recent guests! Offering views of the beautiful Sierra Nevada Mountains, Apartamentos Siete Lagunas features rooms and apartments with free Wi-Fi. Set in the center of Trevelez, it has a terrace with a barbecue. The rooms and apartments at Apartamentos Siete Lagunas have simple décor. There is heating, a flat-screen TV and a private bathroom. Apartments include a living room with a fireplace, and a kitchen with a microwave, fridge and gas hob. 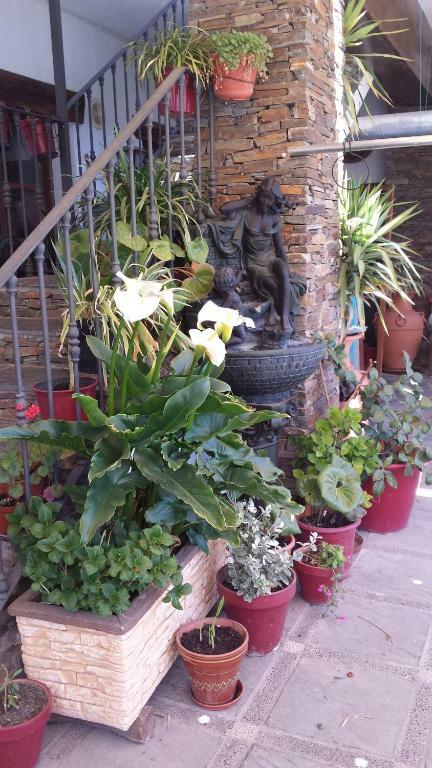 Set next to Barrio Medio Square, the apartments are within 5 minutes’ walk of shops. Cádiar is a 30-minute drive away. 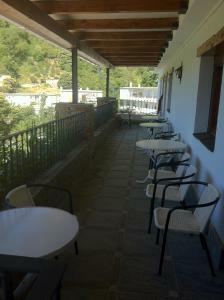 Guests will find a restaurant within 350 feet of the property. 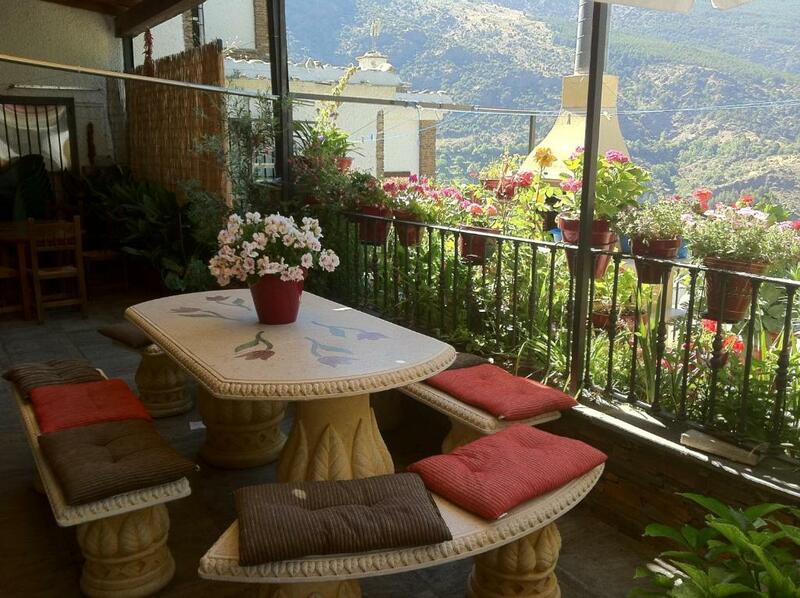 The Costa del Sol’s beaches are approximately 25 mi from the apartment, and the historic city of Granada is 59 mi away. When would you like to stay at Apartamentos Siete Lagunas? This apartment has simple décor, free Wi-Fi and heating. There is a double or twin bedroom, and a living room with a flat-screen TV and a fireplace. The kitchen includes a gas hob, fridge, coffee maker and a microwave. Some apartments have a balcony or terrace. Apartments feature décor inspired by local points of interest. These individually decorated apartments feature design inspired by local points of interest. They have free Wi-Fi and heating. There is a double bedroom, a twin room, and a living room with a flat-screen TV and a fireplace. 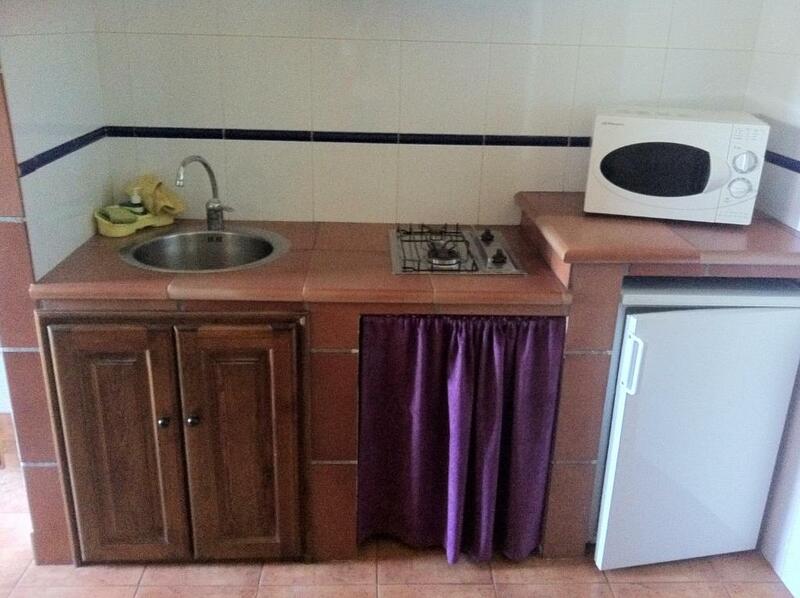 The kitchen includes a gas hob, fridge, coffee machine and a microwave. Offering lovely views, this bright room has simple décor, free Wi-Fi, under-floor heating and a flat-screen TV. 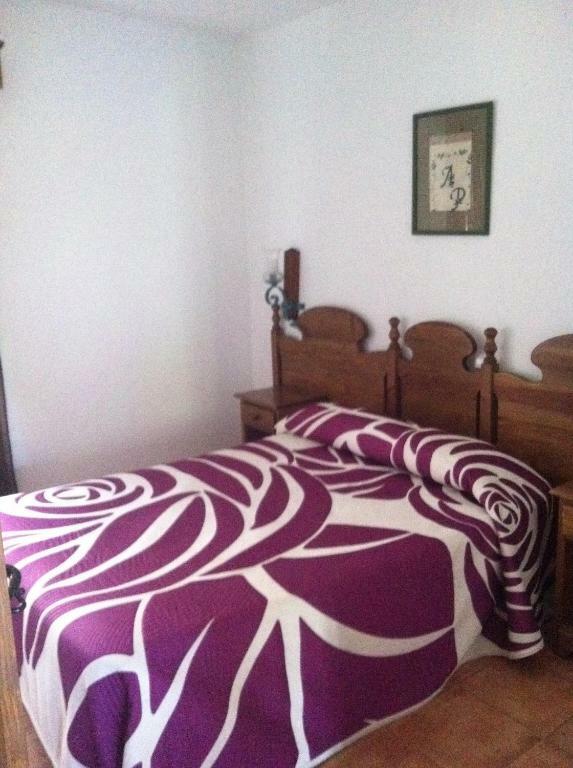 It comes with 2 single beds and a private bathroom. 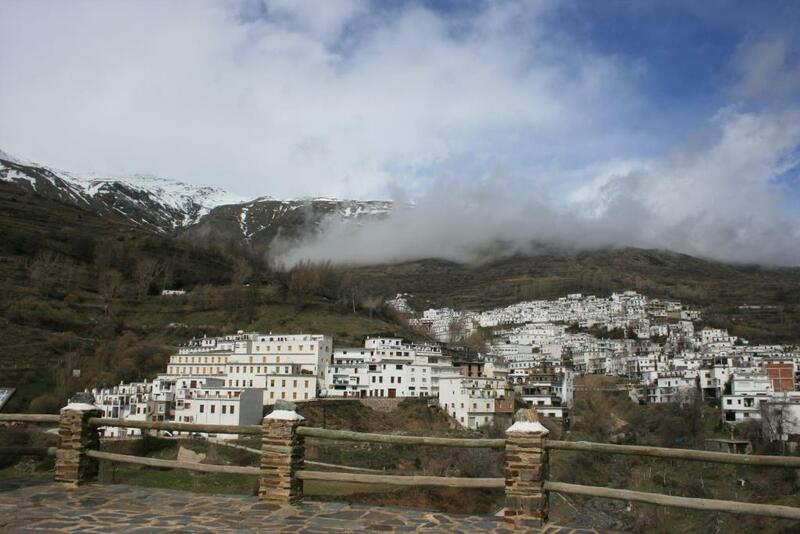 Los apartamentos se encuentra en la ubicación perfecta para realizar todas las actividades para conocer la bellisima alpujarra granadina. 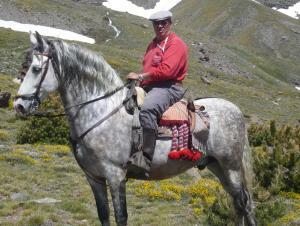 Soy un amante de la naturaleza, tengo la gran suerte de vivir en una tierra que me da la posibilidad de disfrutar de los animales, sobre todo los caballos y nuestra preciada Sierra Nevada,os invito a conocer de la mano de Apartamentos Siete Lagunas. Trevelez se divide en tres Barrios, nosotros nos encontramos en el barrio medio, lugar ideal para conocer y dejarse llevar por sus calles blancas y serpenteantes adornadas con los mejores geranios. 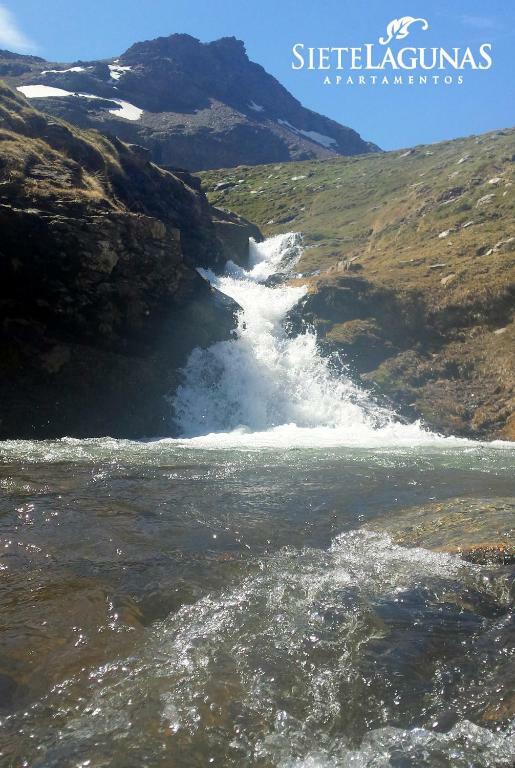 La salida al Mulhacen y Siete Lagunas, con la mejor información la encontras en Apartamentos Siete Lagunas. House Rules Apartamentos Siete Lagunas takes special requests – add in the next step! Apartamentos Siete Lagunas accepts these cards and reserves the right to temporarily hold an amount prior to arrival. Please inform Apartamentos Siete Lagunas of your expected arrival time in advance. You can use the Special Requests box when booking, or contact the property directly using the contact details in your confirmation. I wish the cleaners did not use this heavily perfumed desodorizing spray, it is unpleasant and useless. Check-in was unpleasant. We felt unwelcome, something which continued for the entire stay. Indeed this was upsetting as we had been all over Spain on our tour and this was the only place where we were made to feel awkward. 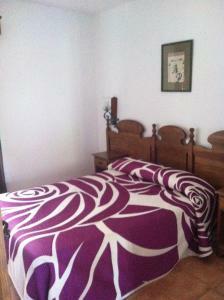 The bed had a nasty mattress cover on it which made sleeping hot and uncomfortable. The hot water never got past mildly warm and opening the balcony windows allowed an armada of flies in. We thought breakfast was included or at least available - not at all. There was also a nasty trick with the key which meant we either both went out together or the person staying behind was left in darkness. Summed it up really - Grim! There was nothing wrong with Trevelez, only that it was cold but no one has control over that, just be prepared with an extra wooly jumper.